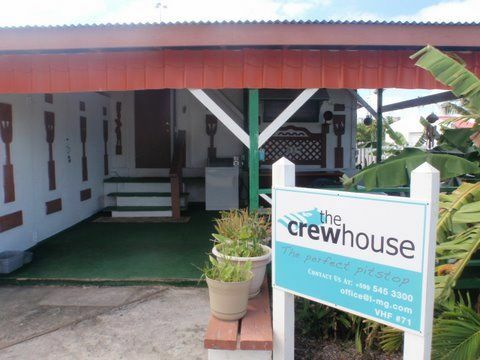 The Crew House provides comfortable and affordable lodgings perfectly suited to the needs of yacht crew, backpackers, or visitors on a budget. We offer a convenient, lagoon front location just walking distance from St. Maarten's International Airport and less than a mile from the island's famous nightlife, so you get the best of both worlds: privacy and proximity to all the action! 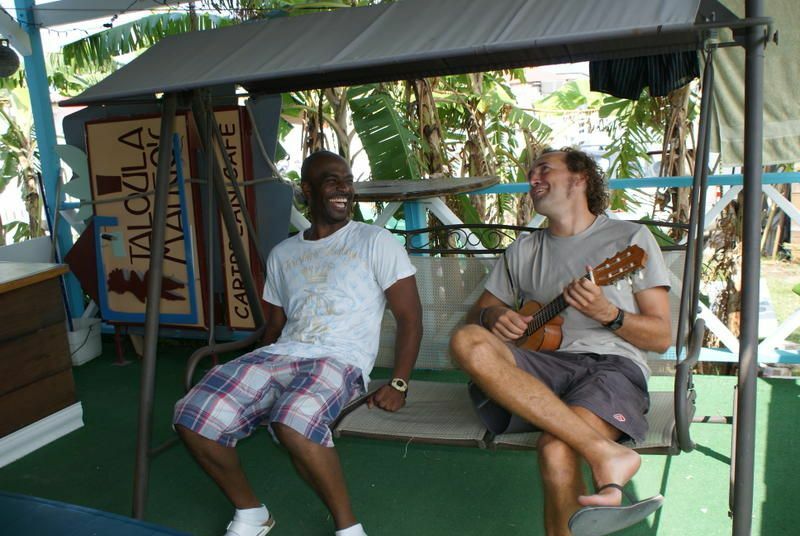 We are the only crew house / hostel with a private dinghy dock and ample parking in a gated, secure setting. The Crew House recently added a 5th dorm room complete with its own little kitchenette, small terrace and a loft for those who want more privacy. Amenities: Accommodations for up to 37 people Air Conditioning and Fans Beautiful Lagoon View FREE high speed WiMax (WiFi) 4G Internet FREE Cable TV on a 42' LCD TV FREE Locker with nightly room rental Full Bathrooms with showers Kitchen Common Living Area Private Dingy Dock Gated Setting Washing Machine Large Outdoor Patio Bicycle Rental Bar and Restaurant on Property Surprise and Boo (the property's resident dogs) ***PLEASE NOTE*** All of our units and beds are AC!! 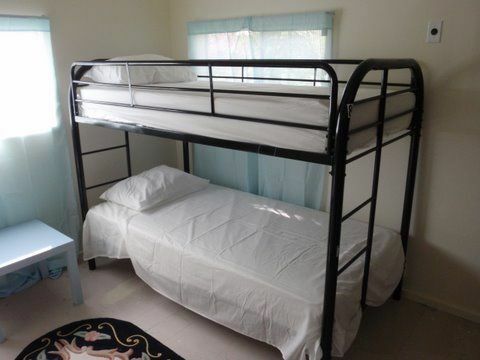 We now offer you the following options of room types: Private room/ double bed shared bathroom $49.99 Deluxe 4 bed room dorm Ensuite with Kitchenette and TV for $29.99 Standard 4 bed Female dorm Ensuite $24.99 Basic 9 bed Mixed dorm shred bathroom $19.99 --> for the frequent flyers who simply need a bed to sleep in!